In June, chief marketing officer Jerri DeVard hit the rewind button, moving ADT's creative business back to Doner after only eight months with Arnold. 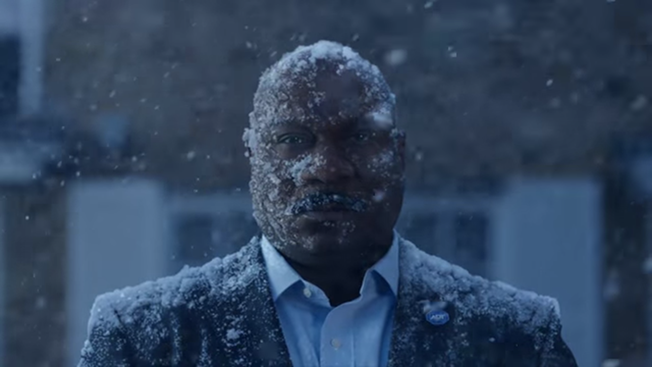 Now, Doner's first work for the security mammoth is here, featuring actor Ving Rhames as the brand's first spokesman. "We thought that Ving Rhames embodied the attributes of ADT if ADT were a person," said Devard. "Strong, caring, protecting you, watching over you, making sure that your house was protected." The new campaign, which has three spots so far, leans on Rhames' tough-guy image seen in films like the Mission Impossible series and Pulp Fiction. One spot in particular shows Rhames guarding a home in all sorts of weather conditions. The ads' messaging also focuses on the technological advances that the Boca Raton, Fla.-based brand has made. The 140-year-old security brand had a 16-year relationship with Doner as its lead creative shop before moving to Arnold. DeVard took over as CMO of the brand last March (after that change had happened) and wanted to freshen the brand's messaging with a shop that "understands the DNA of the brand," which Doner does. ADT's annual media spending is estimated at $75 million.